In the absence of top-level league competitions for the past three years, regional cup competitions such as the Nepalgunj Gold Cup have been crucial in sustaining Nepali football in this period. Along with its sister tournaments in Pokhara, Dharan, Butwal, Biratnagar, Birtamod, Simara and elsewhere, the Nepalgunj Gold Cup is providing much needed matches and money to football stakeholders including national level players, coaches, referees and clubs whose livelihoods and operations have been severely jeopardized by the shutdown of league competitions. The regional cups are also a major boon to local football. For fans - they bring celebrated clubs and players and high standard of matches, which are mostly concentrated in Kathmandu, to different corners of the country. For players - they provide a platform to compete against the top talents and clubs in the country. 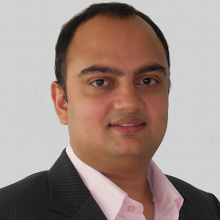 For administrators - it gives them experience in organizing tournaments and looking after the matches, logistics, sponsorship and marketing that come along with it. Furthermore, if well run, the regional cups can raise quite a bit of revenue which ideally should be ploughed back into local football. For example, Sahara Club Pokhara’s impressive training centre was built on the profits of the Aaha! Gold Cup. Hopefully, the Nepalgunj Gold Cup will eventually create a similar legacy, but for now it is already playing a crucial role in supporting football at the national and local levels. Though we are at the tail end of 2017, I came across possibly my favorite article of the year just this week. It was a terrific feature by the New York Times, with some incredible multimedia, on the attempt to recover the bodies of Indian climbers that had perished on Mt. Everest a little more than a year ago. I actually went on a bit of a Himalayan/Everest/mountaineering splurge after reading the article, including watching several great videos on YouTube on the subjects and listening to the Into Thin Air audio-book, the gripping personal account of the 1996 Everest disaster written by Jon Krakauer. Obviously, Nepal's connection to these topics make it that the more intriguing and salient. 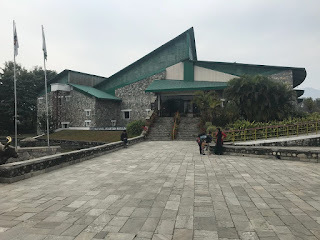 Just a few weeks ago, as a relative novice on all things "mountain", I had visited the International Mountain Museum in Pokhara - a fairly impressive exhibition that sits on a 5 hector compound. With my new insights the next visit there should be even more enriching. I know from experience that just donating footballs to kids can be such a challenge in Nepal. There are so many things one needs to deal with including customs clearance, political interests and social pressures. Imagine purchasing and transporting an airplane and then building an aviation museum. Lots of respect to Mr. Bed Upreti for doing just that, not only once, but twice!